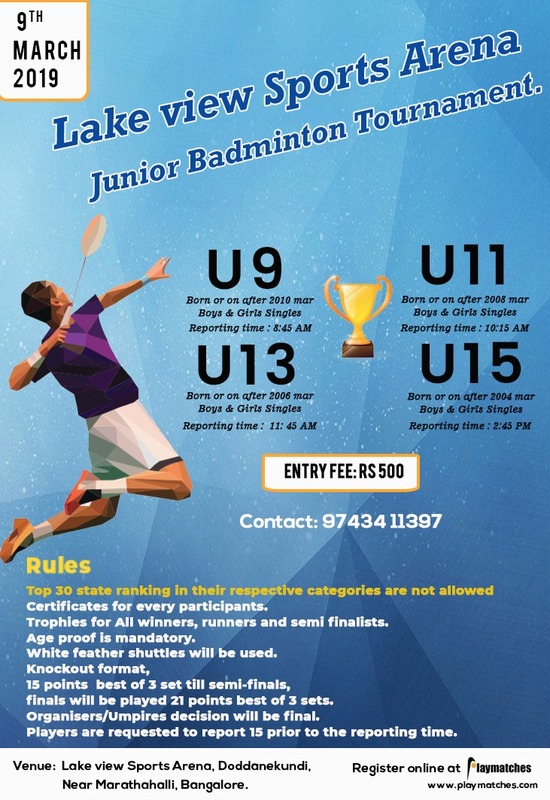 Top 30 state ranking in their respective categories are not allowed. Trophies for All winners, runners and semi finalists. White feather shuttles will be used. Knockout format, 15 points best of 3 set till semi-finals, finals will be played 21 points best of 3 sets. Organisers/Umpires decision will be final. Players are requested to report 15 prior to the reporting time.